In current biomedical, social and psychological research there has been a great deal of controversy concerning the nature of addiction. The dominant view sees addiction as a disease triggered by the substance; others deny the usefulness of the concept altogether, focusing instead on availability of the substance. Intermediate positions see addiction either as a syndrome of varying degrees or as a behavioural pattern. Diagnostic practice is based on the syndrome theory, which classifies behaviours as addictions according to indicators such as the inability to stop. These beliefs have implications for how problems could be prevented and how they are handled. The IMAGES Research Consortium consists of three partner projects in Finland, one in Canada, and one in Russia, to research theories and images of addiction. 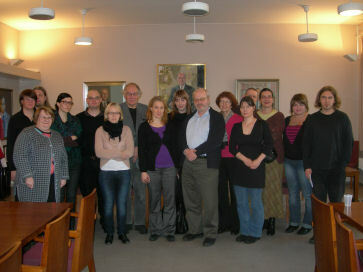 Three Finnish partner projects will conduct (A) literature reviews and a study on the conceptual history of addiction. This project is directed by Dr. Kari Poikolainen; (B) a population survey, with professional and addict sub-samples, of representations of different kinds of addictions and possibilities of recovery in Finland and France, and a study of representations of addictions in contemporary rock culture. This project is directed by Professor Anja Koski-Jännes; and (C) a series of group interview studies among lay persons, professionals and users on cultural images of addictive behaviours, using film clips as vignettes. This project is directed by Professor Pekka Sulkunen. The research design of the Russian partner project, directed by Professor Irina Pervova and Professor Irina Milyukova, will include comparative research in Russia. The Canadian partner project, directed by Dr. John Cunningham, will conduct a survey in Canada. An associated survey is also conducted in Sweden by Professor Jan Blomqvist. These studies will advance scientific understanding of the addictive process, of the factors contributing to addiction as well as factors related to recovery. The results will have implications for prevention as well as for diagnostic and therapeutic practice. IMAGES is part of the international research programme Substance Use and Addictions, funded by the Academy of Finland.